For years there have been discussions about building a cruise ship pier in Grand Cayman. However, the idea poses environmental obstacles as the bay in front of George Town is full of environmentally sensitive coral formations. In addition, it is hard to see how the island could accommodate any more cruise ships than it already attracts and so why make such a large investment? As a result, Grand Cayman remains a tender port, i.e., one where the ship's boats and/or commercial tenders are used to ferry passengers to and from their ships. The distance from the ships to the shore at George Town is not very far and the ride usually takes 15 minutes or less. 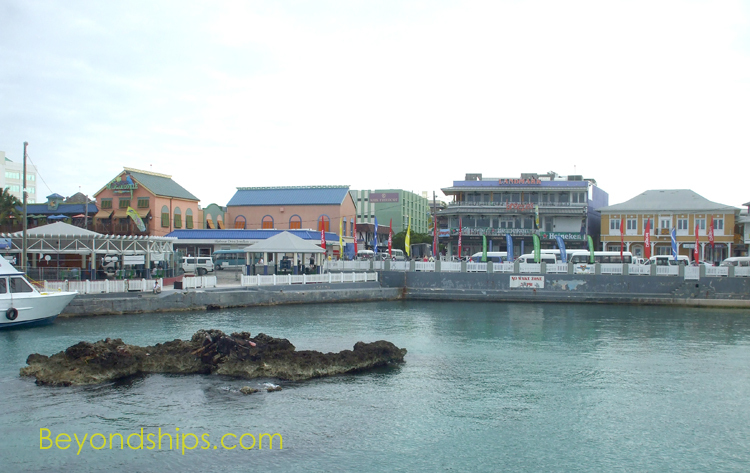 Grand Cayman is a very popular port. It is not unusual to see five or six ships anchored in front of George Town. 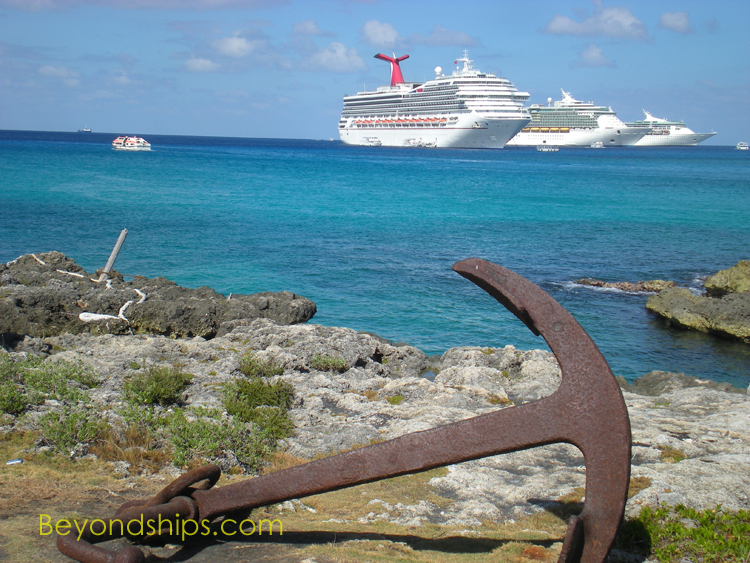 Each ship is assigned a spot to anchor where dropping its anchor will not impact the coral. three tender terminals - - Royal Watler Cruise Terminal, North Terminal and South Terminal. All three are fairly close together along the main shore road (Harbour Drive) in George Town. The tenders from a given ship will only use one of the terminals on a particular day. Thus, if the tender from your ship leaves you off at the North Terminal, you will find the tenders going back to your ship at the North Terminal. The terminals are not elaborate structures. Essentially, a terminal consists of a landing area and a shaded area where guests going ashore gather to meet their tours and guests returning to the ship wait for a tender. The points of interest in George Town are within walking distance from the tender terminals. (Be careful crossing streets as they can be quite busy with traffic). However, some form of transportation will be needed to get to most locations outside of the capital. (But see our article on walking to Seven Mile Beach). Since 1998, the Cayman Islands have had their own public bus service. These are not buses like in major American or European cities but rather vehicles more akin to shuttle buses or large vans. Passengers can boar the buses at bus stops or flag them down by the side of the road. The buses have blue license plates. There are also taxis on Grand Cayman. You can often find them around the tender terminals or on Harbour Drive. 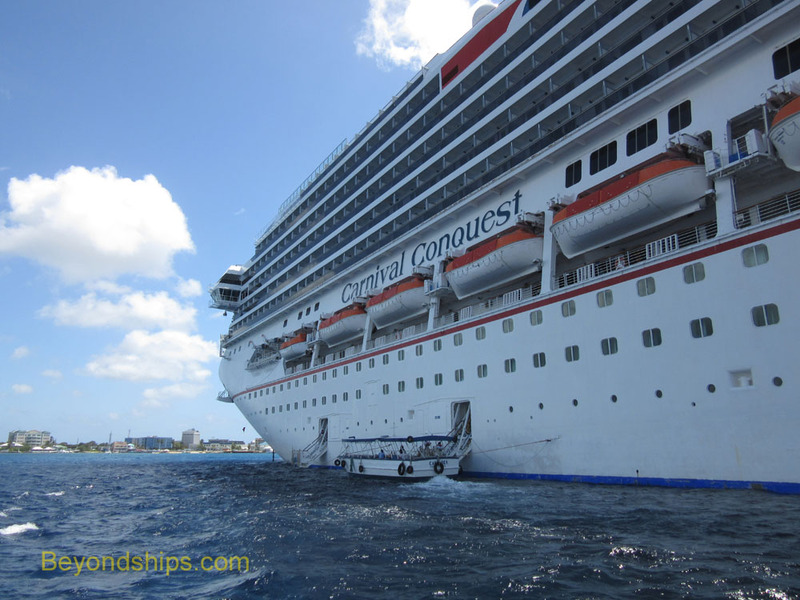 Above: A tender waits to take passengers ashore from Carnival Conquest.. 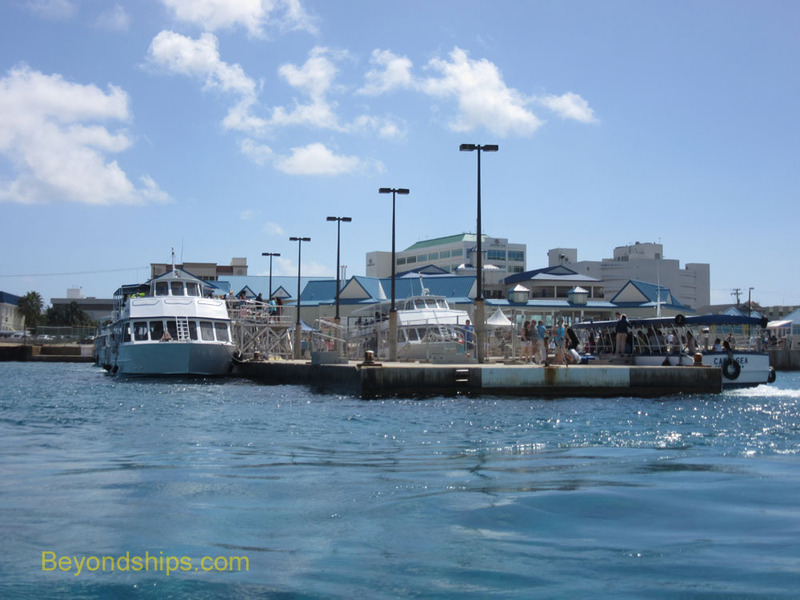 Above and below: Cruise terminals in Grand Cayman. 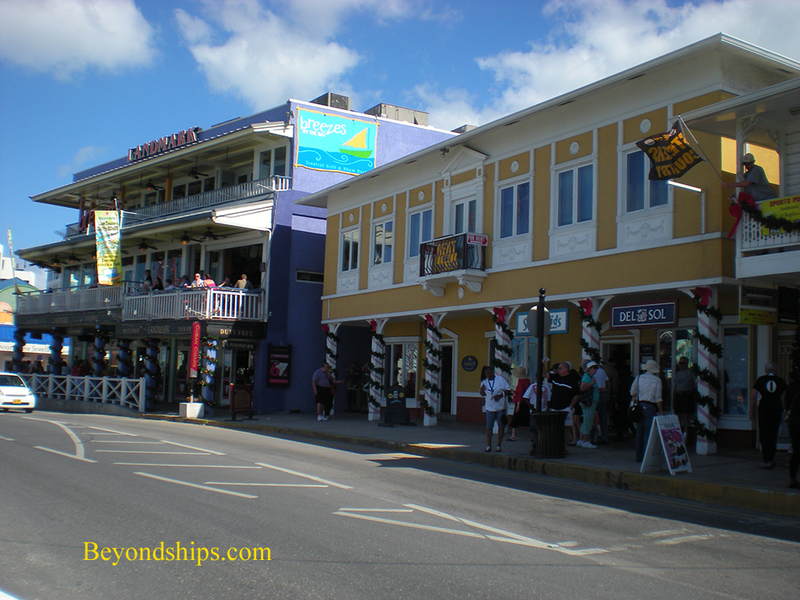 Above: Shops and restaurants catering to the tourist trade are all around the cruise terminals.